The Hubspot integration allows you to create a new Hubspot contact and/or organization from a Blitzen form entry. Note, to use this integration you first need to have a Hubspot account. Navigate to the ‘Integrations’ section in the left-side panel and click on the ‘Hubspot’ app. You will be directed to log in with your Portal ID (Hub ID) which can be found in the top right corner of your Hubspot CRM page. You will be asked to give Blitzen permission to access the app. Don’t worry, we won’t mess with the stuff that’s already there! Choose an input (How to choose an input). 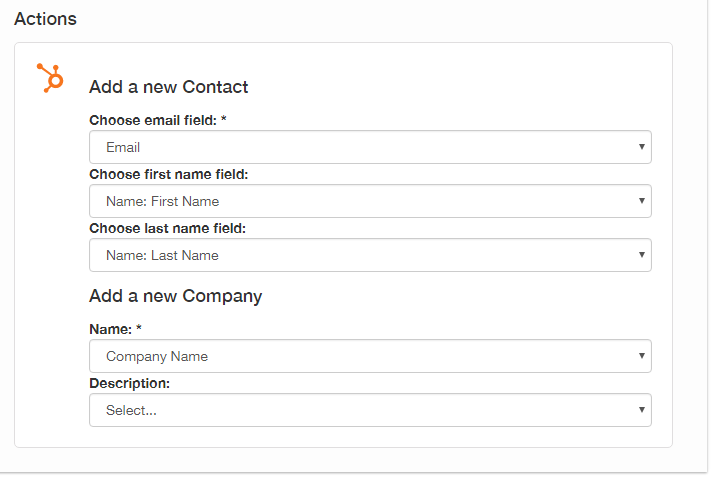 The only type of form you can use the Hubspot CRM App with is one that contains the name and email fields. 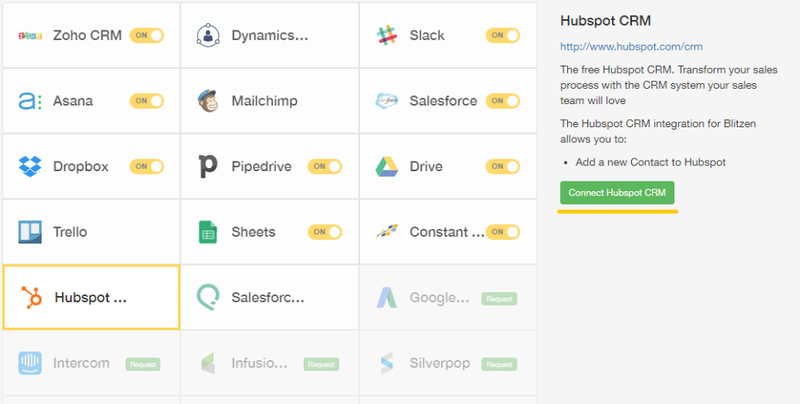 Drag the Hubspot CRM App over into your workflow. This is called an output. From here you will see a number of filtering options. (If you don't want to filter anything move on to the next section). The default setting is to sync all submissions from the input form or survey. If that is not what you wish to do simply add filters. Click ‘Add custom filter’ and use the three fields to create a segment. From here you will match the fields of your Blitzen form to fields in your contact CRM. Use the drop downs to do this. Now every time someone submits this form a new company and/or a new contact will be entered into your Hubspot CRM!